Modularity refers to the degree to which a system’s components may be separated and recombined (think of lego). When we imagine the average warehouse layout, immediately we have a modular system. Most empty warehouses present a cavernous space filled with lighting and little else. Into this we put stock, shelved or otherwise and the millions of different configurations makes it a modular system. Modularity offers the benefits of being flexible to the changing demand of your environment and the ability to offer the optimal solution for each situation. 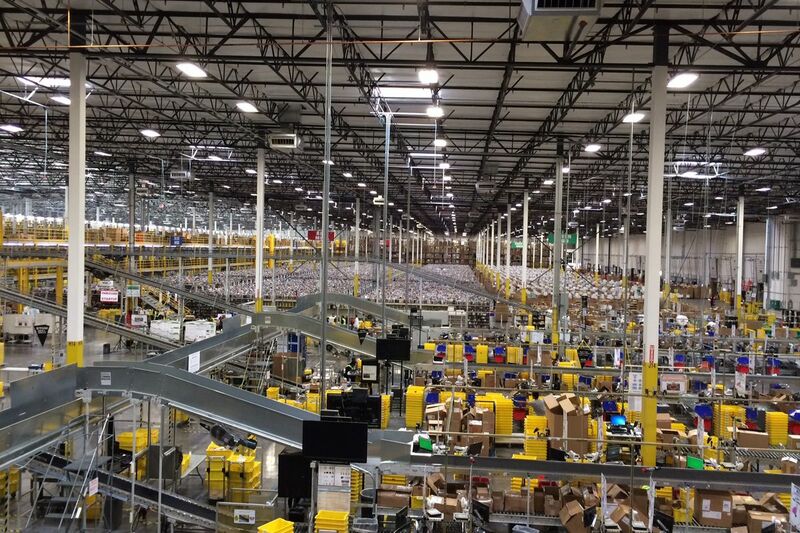 A great example of where modularity is vital is Amazon - their fulfillment centers are colossal. 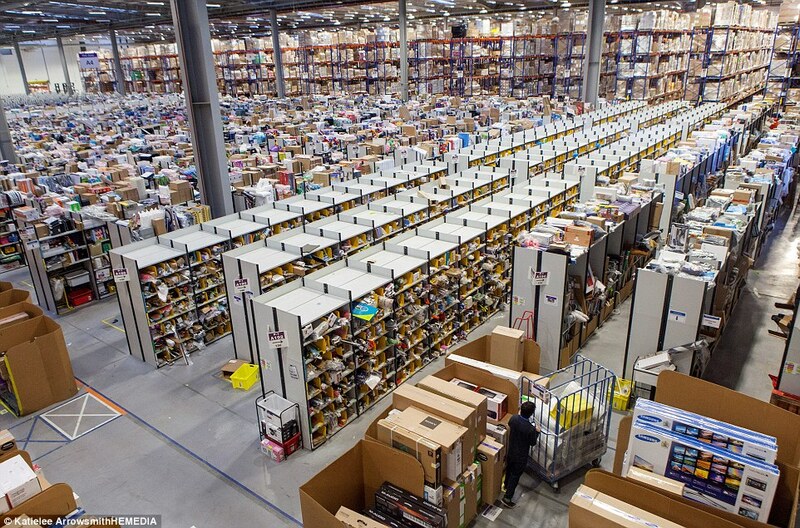 According to Business Insider, the Amazon warehouse in Swansea is 800,000 square feet, or, in what is Amazon's standard unit of measurement, the size of 11 football pitches (its Dunfermline warehouse, the UK's largest, is 14 football pitches). It is a quarter of a mile from end to end. One warehouse in Baltimore covers one million square feet, or roughly 23 acres. That’s a lot of land to cover on foot. One employee, who worked in Amazon warehouses for 14 years, told us he walked 13 miles a day when picking. “That’s over a 10 hour period, so its like 1.3 miles per hour, which isn’t bad,” he says. A source at Business Insider says that employee work flow is even tracked by scanners that prompt each person when to move on to the next order. If you don't work fast enough, it can be tracked back to you. Our source says this causes a lot of frustration among workers. Read more. As you know, it is possible to reduce costs simply by organising the position of products within your warehouse. Slotting is the term given to the management of the physical location of products. This may seem like common sense, but by combining the practise of slotting with information on the speed of your product turnover, you can easily create the most efficient array of products in your warehouse. By putting your most active items closest to the loading bay and your least active items further away. You can make this more efficient if you have multiple bay doors by consigning certain products to certain doors. It is also crucial to consider any seasonal changes in demand for your products; your optimal winter configuration will most likely be different from summer. It is possible to use software that tracks all of this data and recommends the correct layout of products for you. For example at Amazon - they have scanners throughout the production line - which will even correct orders if it predicts that the item weight is incorrect for what was ordered and will notifity a 'problem colver' to check the order before dispatch. Talking about weight, if you have two products at the same turnover rate and one is heavier than the other it makes more sense to have it closer to the bay and at a lower height, as it will have less of a taxing effect on your load shifting equipment. This theory can also be used for products that may have slightly lower turnover but are significantly heavier and therefore require more energy to move them. By having an understanding of the modular transformations you can make to your warehouse you put yourself in a good position to make considerable savings. There are even systems available that automate the entire process. 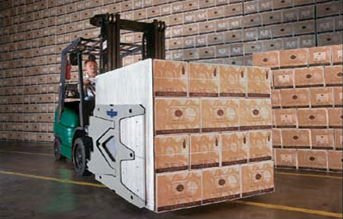 Another fantastic example of a modular feature for warehouses are bumprails or rubrails. Applying bumprails and rubrails to areas of high traffic and narrow access ways in the warehouse, you can increase the lifespan of both the warehouse and the vehicles that work in it. Simple features like bumprails and rubrails are not expensive investments but deliver long-term incremental savings. Some larger structural changes that you can implement include using factory partitioning systems to segment your warehouse into separate manageable zones. By using partitions, you can optimise your warehouse in a non-permanent fashion that can easily be changed again if your circumstances change. Especially useful if you have a food porcessing area beside an area which needs regular wash down. One thing that is quite easy to use in a modular sense is warehouse doors to segment areas of your warehouse. A strong example of modularity in modern warehouses is the Compact Sectional Door. Its modularity allows users to choose from a vast array of potential panels to fit their needs. 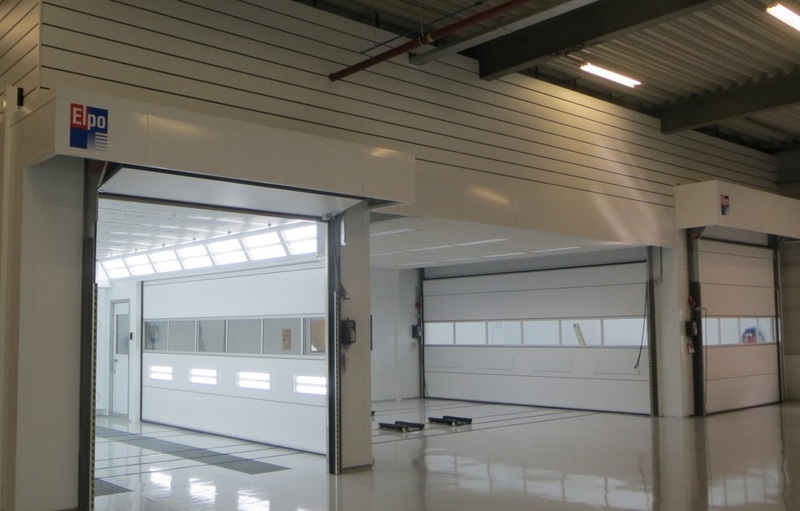 Whether they want heavily insulating panels for a cool room/ freezer or clear panels to create vision for car showrooms, the door’s modularity makes it the right choice for numerous applications. When coupled with the doors ability to quickly fold into a small compact space abover the opening when open, the modularity allows this single product to become the optimal choice for multiple applications, taking up very little of your valuable space. If you're looking for a quick access door and dont necessarily need a solid door, but more of a partition or a doorway which allows you to wash down areas in your site (or create a air lock) - think about a Movidor High Speed Rapid Door. 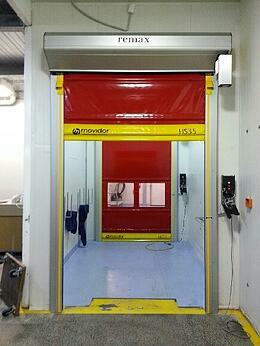 The Movidor is available in a range of colours, with windows for extra safety and also with added options such as Integrated Traffic Lights and Door Sensors. A crucial part of any warehouse that doesn’t get much mention for its modular potential is the humble forklift. With a vast array of attachments, your forklift can do more than just move well-packed pallets. The range of attachments available for forklifts can increase efficiency, shave off cost, increase worker safety and increase the capabilities of the forklift. 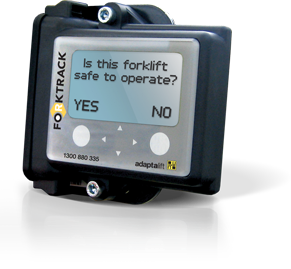 Here is a quick overview of the major attachments you can use to optimise your forklift fleet. Fork Positioners: They allow you to ensure that you are picking and loading items with the right distribution of the forks. Fork positioners give you the flexibility to work around varying pallet sizes, and also constraints of the environment the load is located in, without leaving your seat. Sideshifters: These attachments allow you to shift a load from side to side for reduced handling time and increased manoeuvrability. 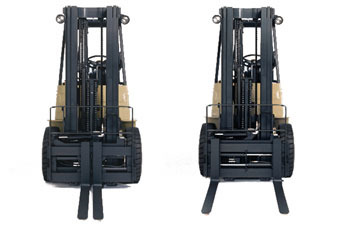 If the attachment is used correctly it will increase efficiency on any forklift it is fitted to. This is a similar attachment to a fork positioner but with the added functionality of being able to move the forks while carrying a load. Sideshifters are the most popular attachment found on forklift fleets. Rotator: This aids the handling of skids that may have become excessively tilted and can also be used for specialist handling procedures. It is sometimes used for dumping containers or quick unloading. Roll or Barrel Clamp: This can either be a hydraulic or mechanical attachment that squeezes cylindrical items when they are moved. The attachment is often fitted with rotation capabilities. Carton and Multipurpose Clamps: These attachments allow the operator to open and close around a load, picking the load up by squeezing it. Often forklifts fitted with this attachment will be referred to as clamp trucks. 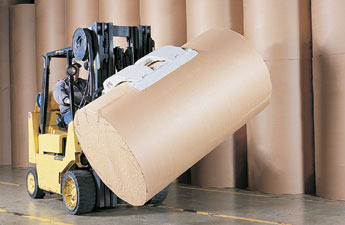 The major use for this feature is to move cartons, boxes and bales. Telescopic forks: The major use for this attachment is to allow the operator to work with a warehouse designed with double-deep stacking (two pallet shelves back to back with no aisle between them). As the name would suggest, the forks extend to reach products. Scales and Mobile Weighing: The old style of attachment was a scale that would be attached to the forklift, much like the forks, and then used to weigh goods. New technology has allowed the operator to weigh goods, add them together and by using a wireless display that checks that your incoming goods are the right weight, you can make sure that you have control over the accuracy and quality of orders. By setting maximums you can also prevent forklift overload. Telematics Software: This style of attachment does not add a function in terms of loadshifting but is probably the most effective in increasing efficiency. By using telematics software you can track the activity of your each individual forklift and driver, compare across the fleet, create maximum speed limits, ensure a safety check before each use, and have automatic identification when servicing or repair is needed. By using modularity in your warehouse, you can make your workplace nimble and quick to adapt to any changes in supply or demand of the products flowing through it. If you would like to learn more about increasing efficiency through forklift optimisation, download our free eBook: Optimising Forklift Safety & Efficiency by clicking on the button below.